Ever want to share a video from your phone onto a PC? Want to make the experience social and open platform too so your iPhone and Android friends can jump in? 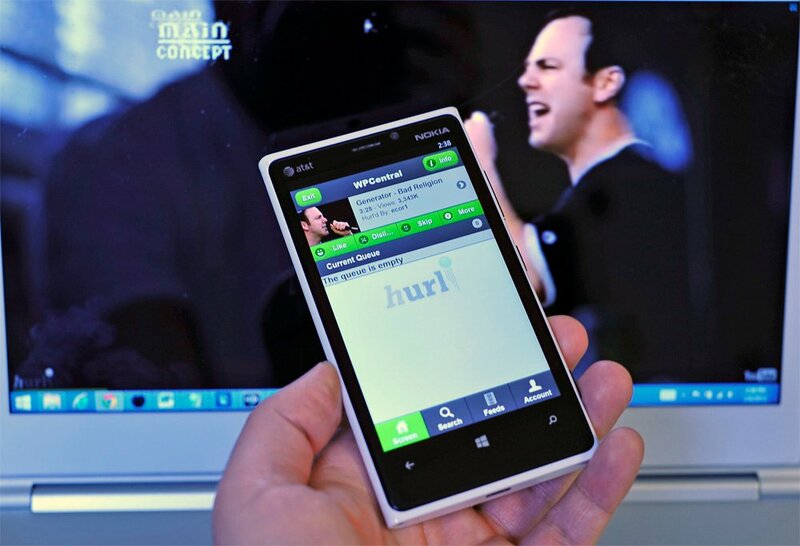 Then you’ll want to take a peep at the official Hurl app for Windows Phone 8, which came out yesterday. Hurl is like a DNLA service but for PCs, but it also adds some social aspects as well. The system works by simply downloading their app to your phone and setting up a page on the Hurl website (www.hurl.net). Using your phone’s GPS (and your label) you can then connect up. From there, you can search online for videos, which you then add to the queue. Those videos will then play on the PC and your phone acts like a remote for it—it’s like SmartGlass but for everything else. If you need an idea for what to play and Search is to challenging, it even has built in Reddit support, making sure you’re caught up on the latest viral stories. We’ve been playing with the service for the last 30 minutes and we have to throw our hat in as being impressed. 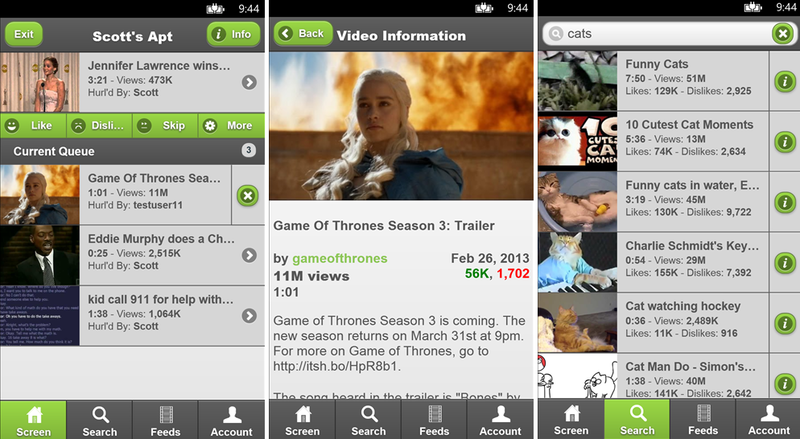 Videos streamed nearly instantly, and the idea of using our phone as a remote is quite appealing. Of course, we could imagine the real benefit here would if friends are over for a party and you have a web-enabled TV. Then anyone with a smartphone (well, except BlackBerry users) can get in on the fun and load up a video. Hurl is a free app for Windows Phone 8 users and can be found here in the Store.